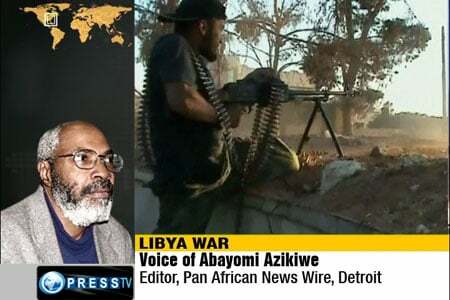 A half decade after the United States led destabilization and bombing of Libya, the attempts by imperialism to establish a stable neo-colonial dominated regime has not materialized. On March 19, 2011, the Pentagon and other NATO forces began the aerial bombardment of the once most prosperous nation-state in Africa. After seven months of air strikes and support for an imperialist-directed ground operation by proxy rebel militias, thousands laid dead while millions were displaced amid the ruins of hundreds of development projects and government institutions. Libya is at present one of the most poor and unstable states on the continent having become a source of instability throughout the large sections of Africa and the Middle East. The once lucrative oil industry which supplied resources for the building of hefty national budget surpluses has all but failed with substantial sections of extraction locations and refineries destroyed in fighting between various rival groups backed by various western-allied governments including Qatar, Egypt and Saudi Arabia. Under Gaddafi Libya enjoyed widespread recognition and respect among African Union member-states. The transition from the Organization of African Unity (OAU) to the African Union in 2002 was based upon the Sirte Declaration drafted by OAU affiliates in 1999. Many of the ideas embodied in the Sirte Declaration and the subsequent founding documents of the AU attempted to address the need for greater African unity within the realms of economic, political, telecommunications, technical and military spheres. Dr. Kwame Nkrumah, the former leader of Ghana during 1951-1966, and a co-founder of the OAU in 1963, had called for a union government of Africa as the best method to fight the dominance of imperialism. The Gaddafi government had taken up this idea fostering cooperation and coordination across the African continent. Obviously these political activities alarmed the West prompting the destabilization and consequent overthrow of the Libyan state which remains in shambles. 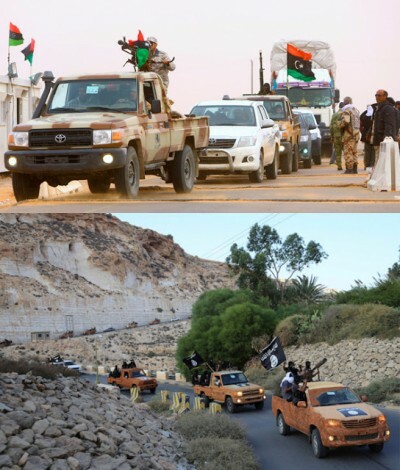 Recent developments surrounding the attempt to install a new so-called « unity government » has prompted the declaration of a « state of emergency » by the Tripoli-based faction which drove out a rival group now based in the eastern city of Tobruk. Nonetheless, numerous analysts view the imposition of the GNA as only bringing about more chaos and instability. Indicative of this was the inability of UN envoy to Libya, German diplomat Martin Kobler, to land his aircraft in Tripoli. The plan for a coalition junta is designed to pave the way for a large-scale 6,000-person Pentagon and NATO-led intervention force under the rubric of the United Nations and brokered by Martin Kobler. Having lost faith in the local militias and political surrogates to provide any semblance of stability in Libya, the U.S. and other NATO states are aiming at sending in a conventional military force to impose the desired neo-colonial dominated regime that would ensure compliance with the foreign policy imperatives of Washington, London, Paris and Brussels. This publication stresses that the putative success of the United Nations engineered GNA could be dependent upon the Misrata militia which helps to prop-up the General National Congress regime that has taken over the capital of Tripoli. The militia gained a reputation during the war of regime-change in 2011 as being one of the most violent and racist in the campaign to overthrow the Jamahiriya system under Gaddafi.